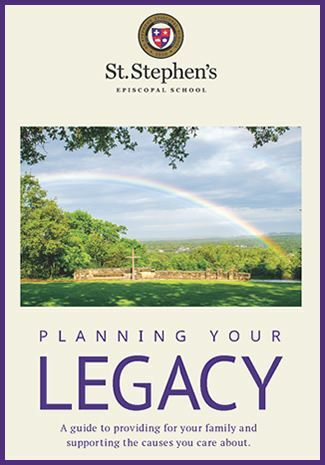 Thank you for thinking of St. Stephen's future by considering a planned giving gift. Our Create Your Legacy site provides useful information, including descriptions of types of gifts and different ways to give, specific language for bequests, definitions of terms, and further reading. "I give, devise, and bequeath to the permanently restricted St. Stephen's Episcopal School Endowment Fund (or Annual Giving, or current financial aid) of Austin, Texas, the sum of $________ (or a percentage or a description of the specific asset), for the benefit of St. Stephen's Episcopal School and its general purposes."